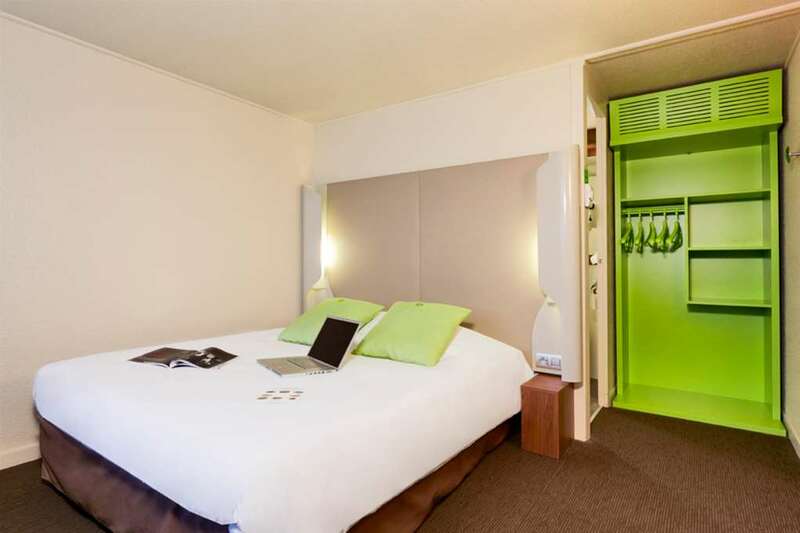 Metz is a city with a rich history, steeped in Romance culture but also influenced strongly by Germanic culture over the past 3000 years. Our 3-star hotel is only 4 km from Metz city centre, perfect for exploring the amazing sites that this city has to offer. 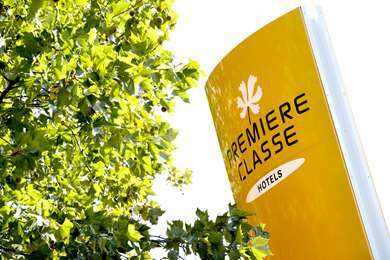 The hotel has received the “Qualité Tourisme” award. 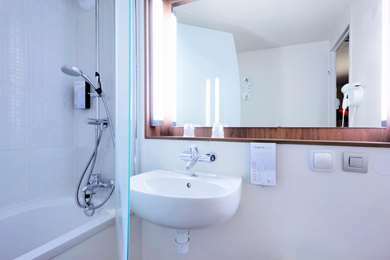 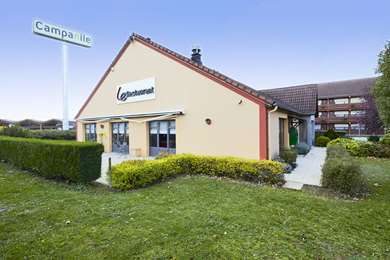 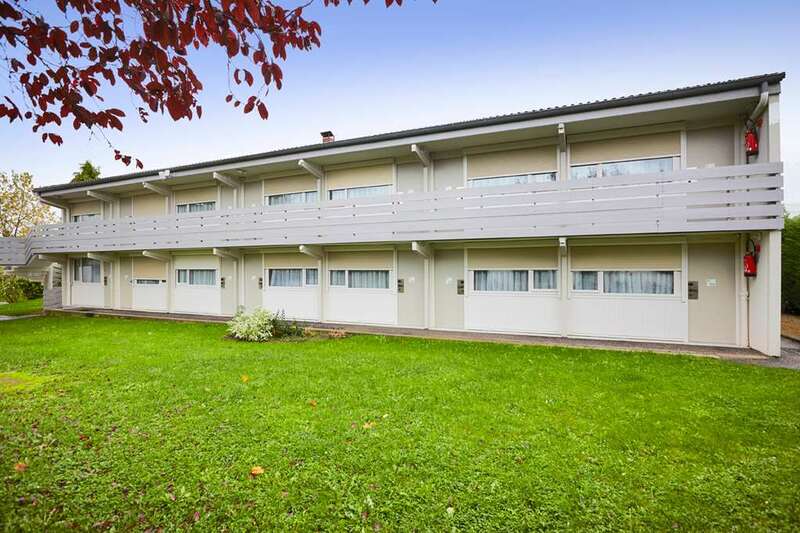 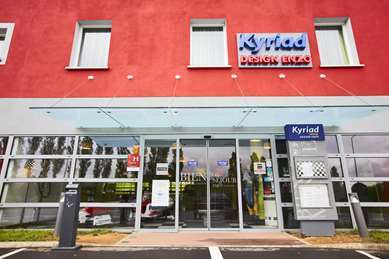 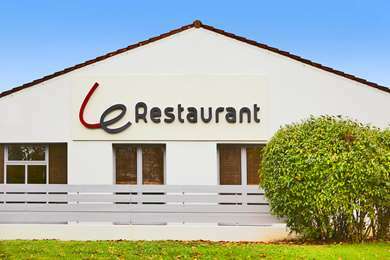 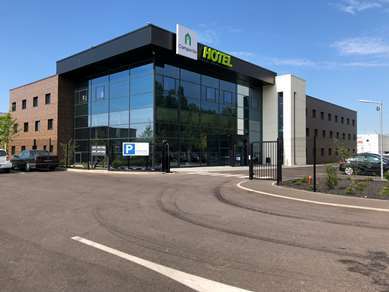 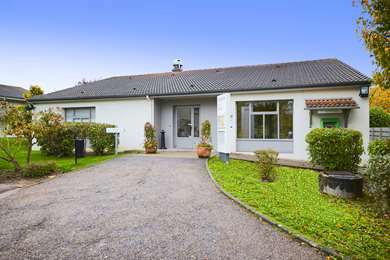 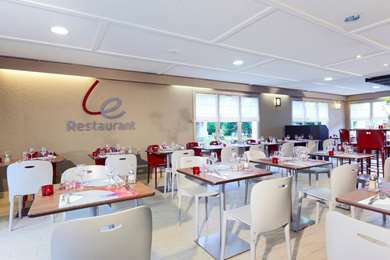 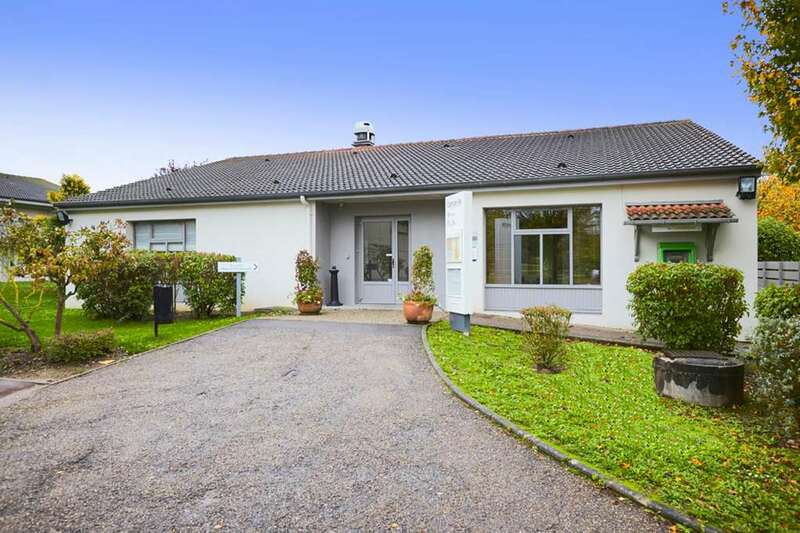 The hotel is easily accessible from the east bypass (N431) of Metz, which goes directly onto all the major routes linking France to Germany, Belgium and Luxembourg. Metz-Nancy Lorraine Airport is 23 km away and can be accessed by an almost direct route. 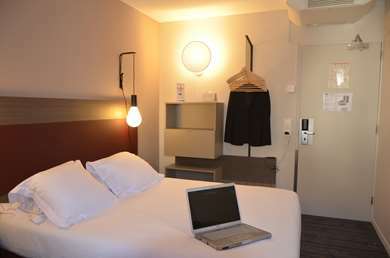 For those staying in Metz for business, the hotel is 1 km from the exhibition centre. The hotel is located in the Technopole Park, next to tranquil Symphonie Lake. For history enthusiasts, be sure to visit the museums within the imperial and medieval districts. We have 48 air-conditioned rooms available for reservation, including 30 double rooms and 18 twin rooms. 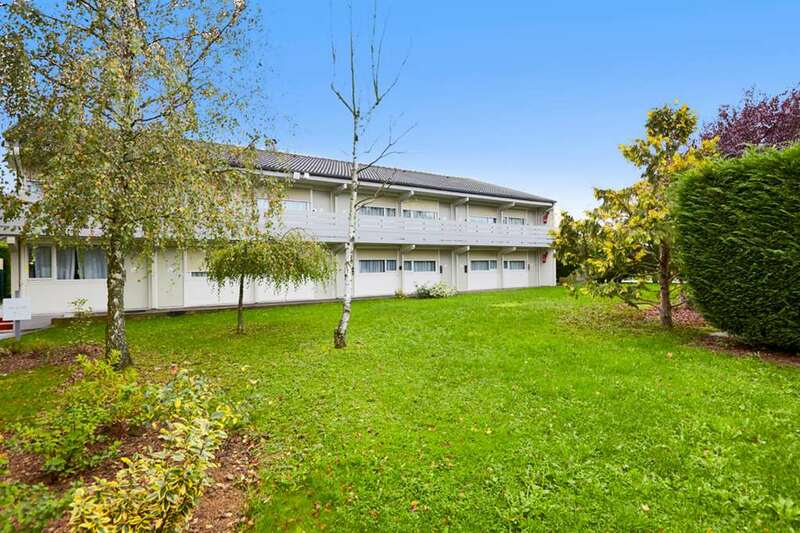 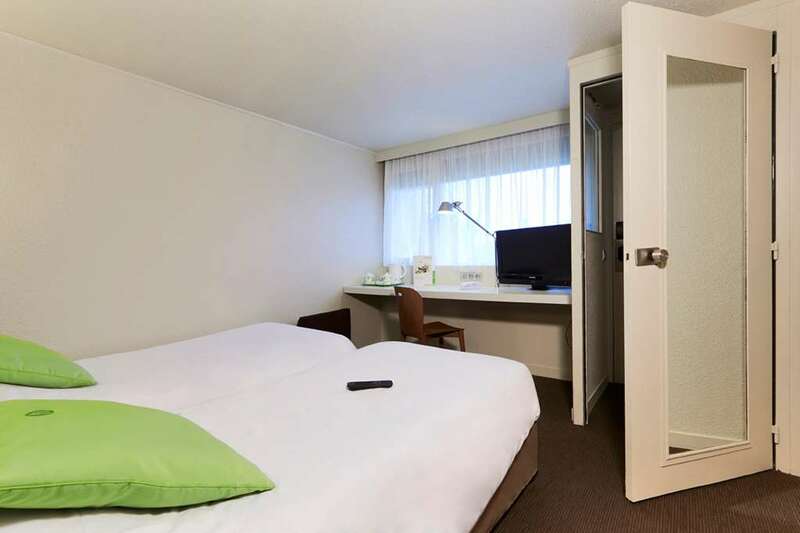 Two rooms are suitable for guests with reduced mobility. 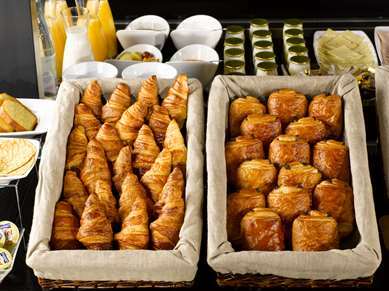 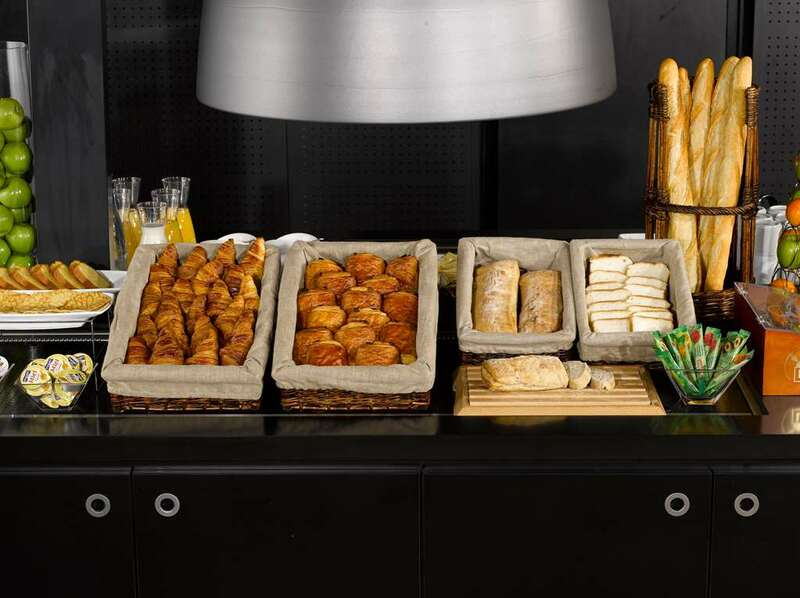 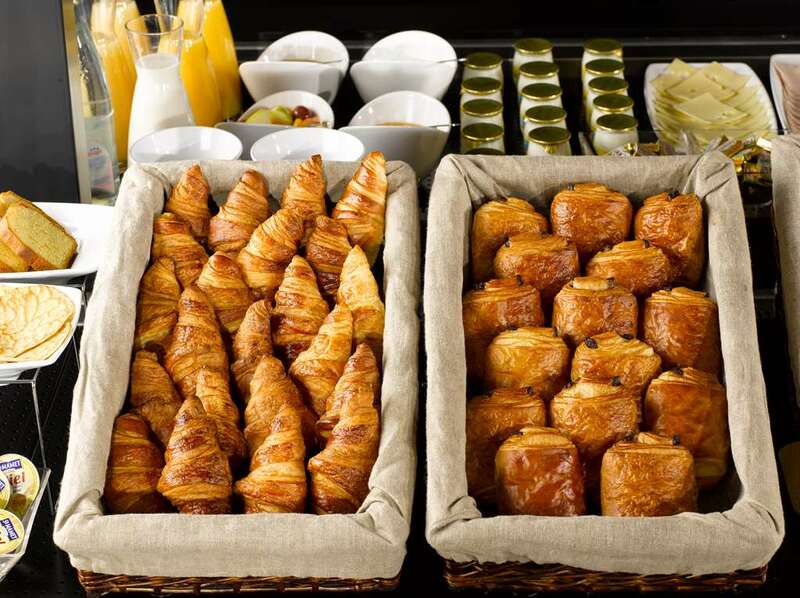 Enjoy a balanced breakfast buffet from 6.30 to 9am during the week and from 7 to 10am on weekends. 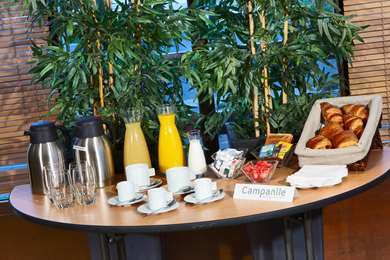 Choose from a selection of: tea, coffee, fresh fruit juice, cereal, pastries, breakfast meat, yogurt and fruit salad. Our restaurant is open 7 days a week for lunch and dinner where you can enjoy a selection of regional, traditional, light and family-style dishes. 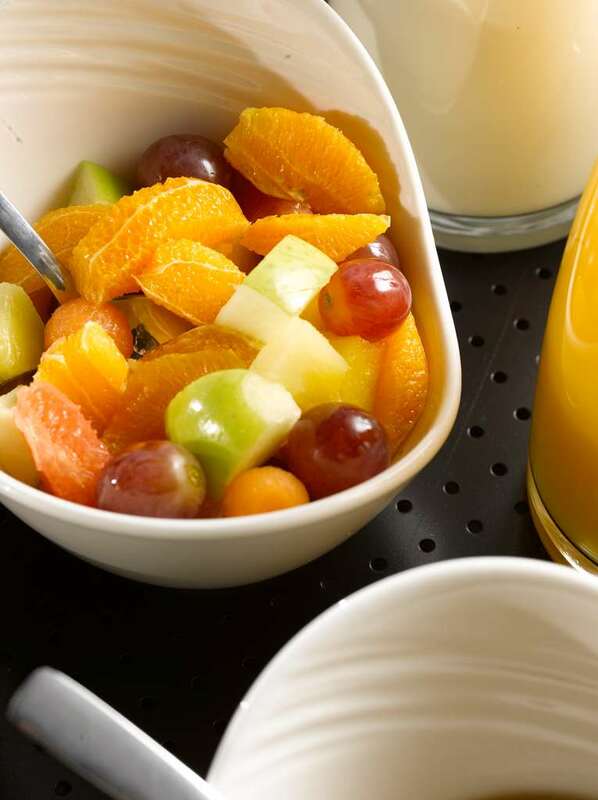 Children’s menus are available and room service is guaranteed with a reservation until 11pm. 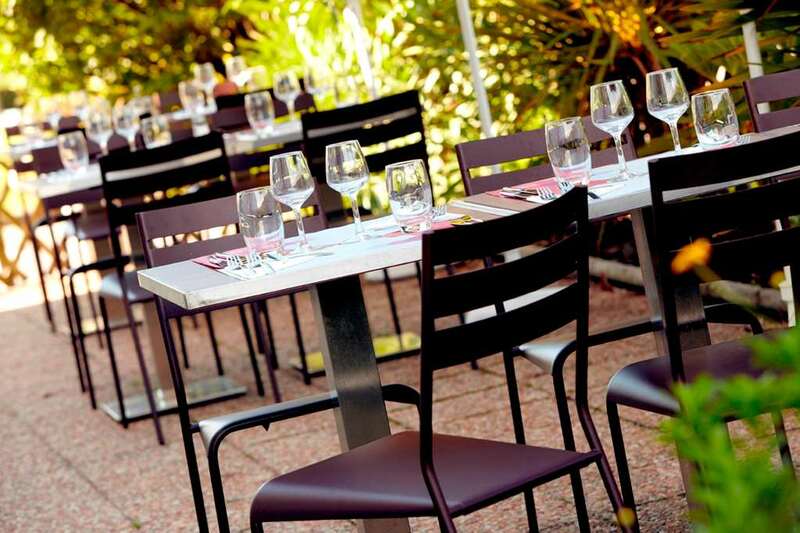 Lunch is served from 12 to 2pm and dinner from 7 to 10pm. 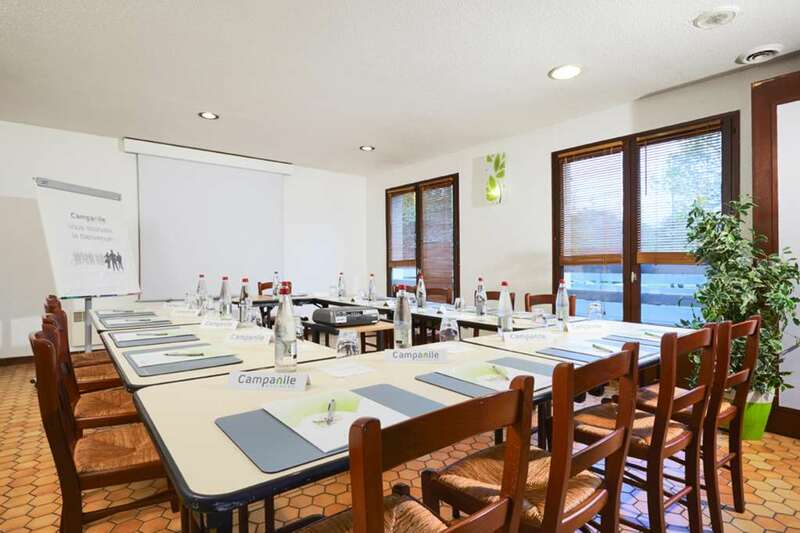 The hotel has a fully-equipped, 49 m² meeting room which can accommodate 25 people in a U-formation or 50 people in the theatre layout. 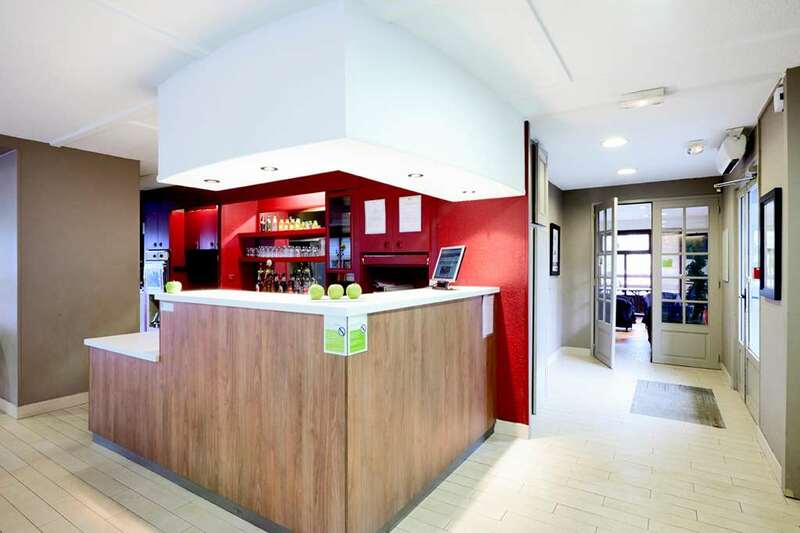 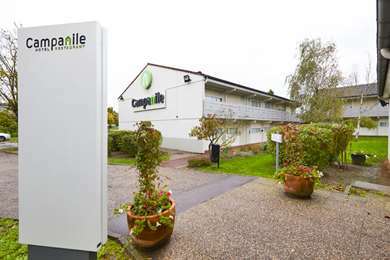 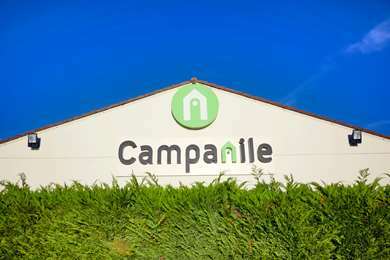 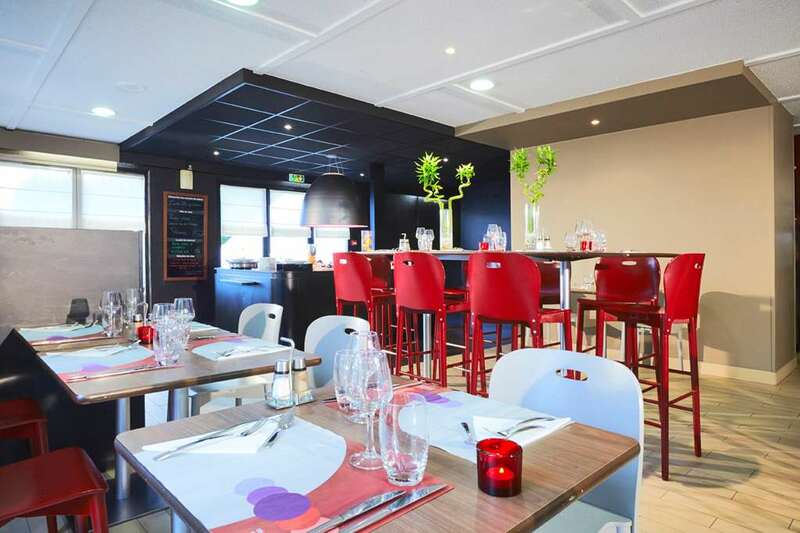 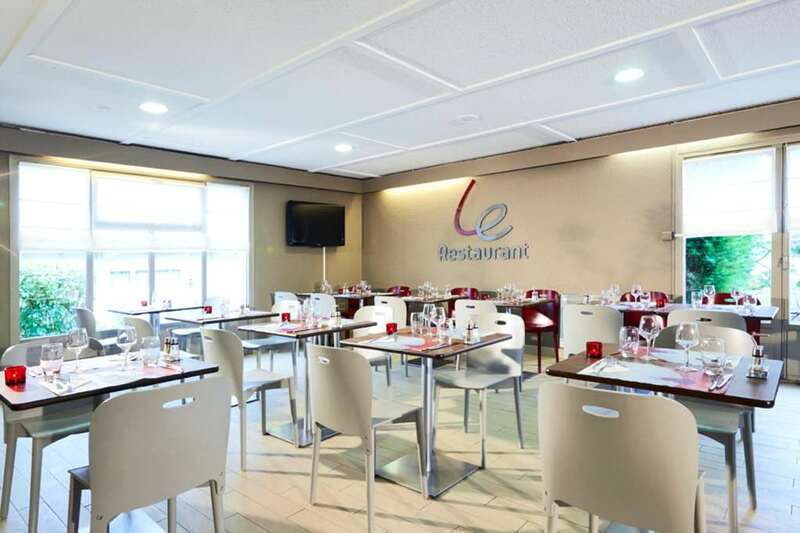 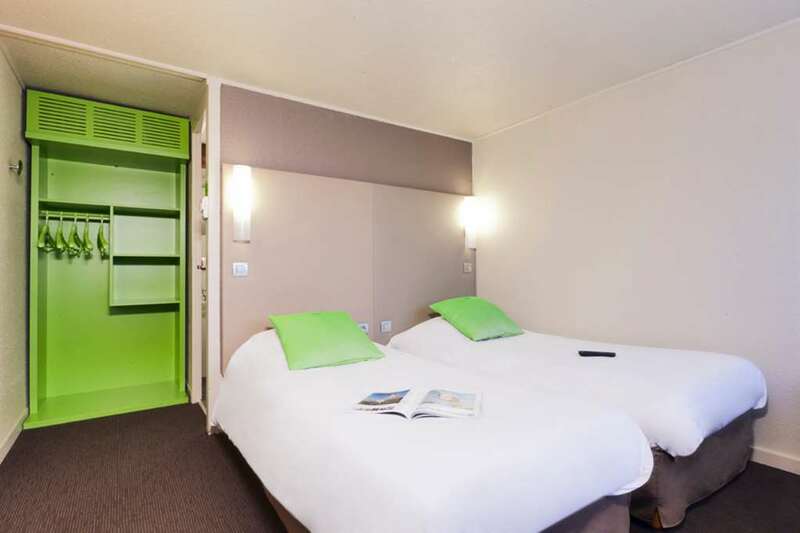 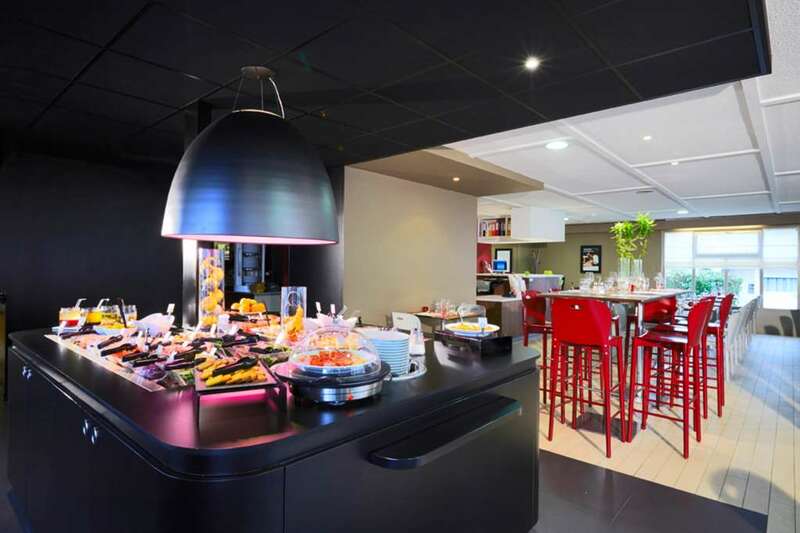 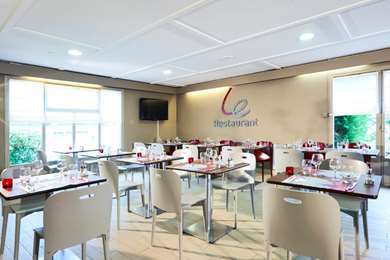 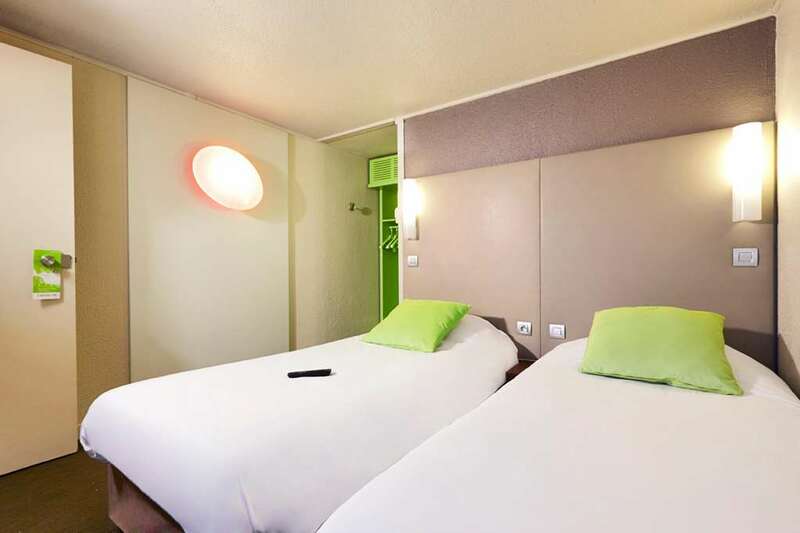 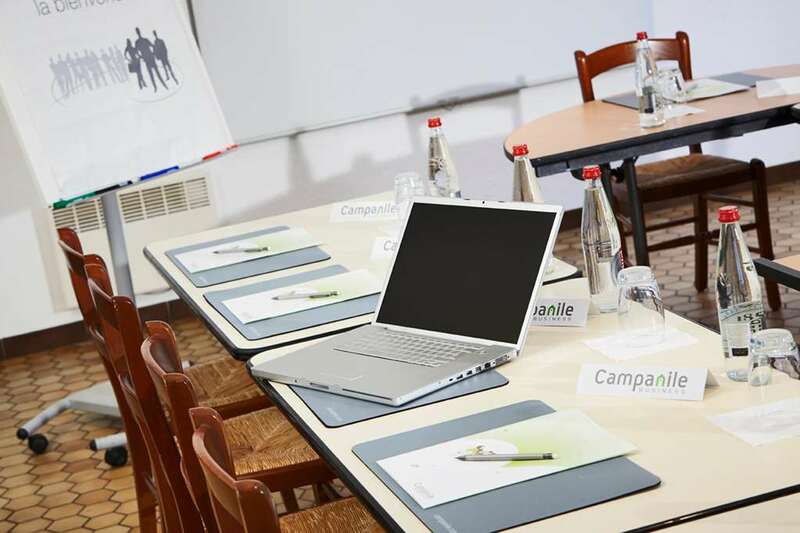 The Hotel Campanile Metz Est - Technopole offers 48 modern and comfortable rooms that will make you feel at home! 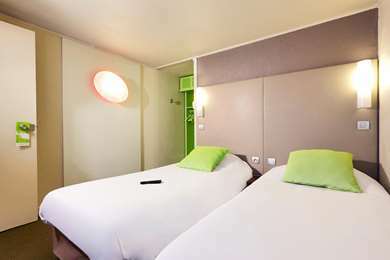 30 double and 18 twin rooms are available. 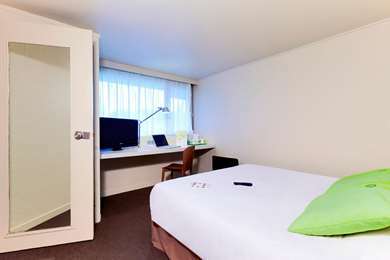 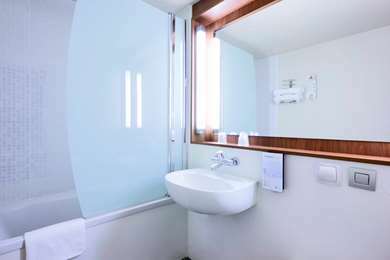 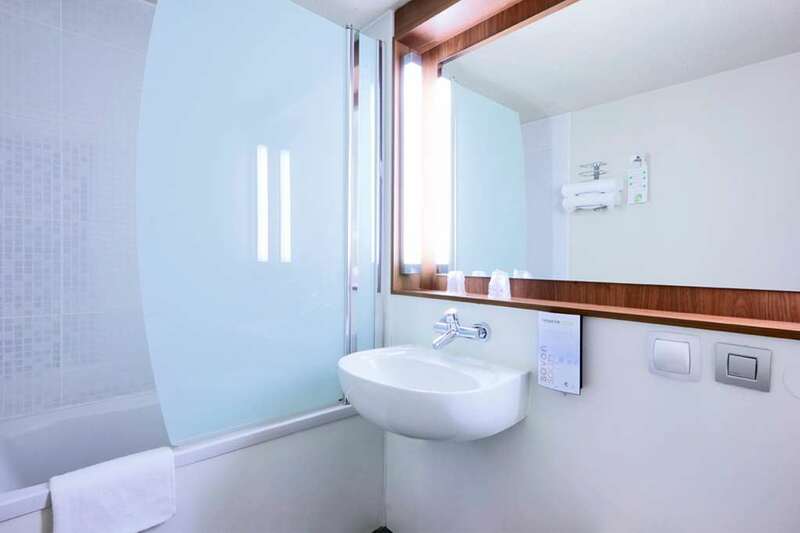 Each one of our rooms features high quality bedding, a private bathroom, a hairdryer, a flat-screen TV, air-conditioning, free Wi-Fi access, and a desk. 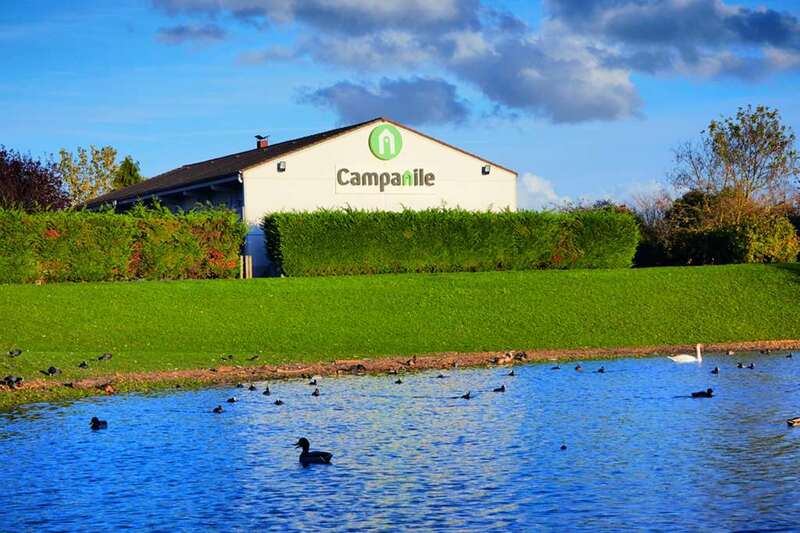 From A4 motorway: direction Strasbourg, exit Metz East Technopole 2000. 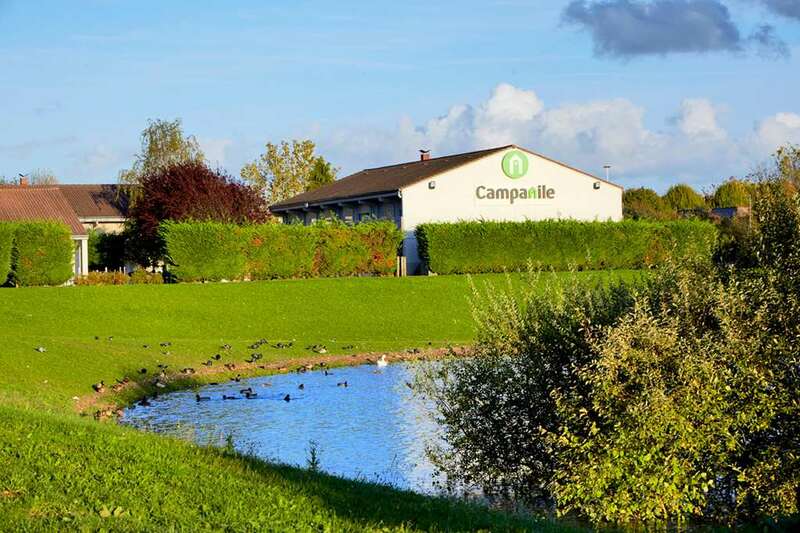 From the A31: exit Metz Centre, then direction Technople 2000.